I deleted some useless photos from my Mac desktop, and then I cleared the trash. When I checked my desktop again, I found that many valuable images have been deleted too. I want to know is there any possibility to get my photos back? The answer is absolutely yes. Even if the photos have been emptied from Mac trash, you can still restore them. This is because that the deleted pictures still exist on your Mac hard drive, though you cannot access them. So, you need to take immediate action to find a Mac trash deleted picture recovery program to retrieve your photos. 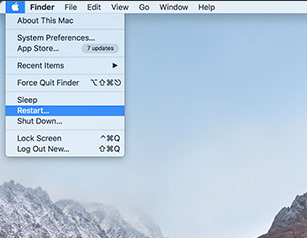 With Recoverit for Mac, there is no need for you to worry about this photo loss issue. 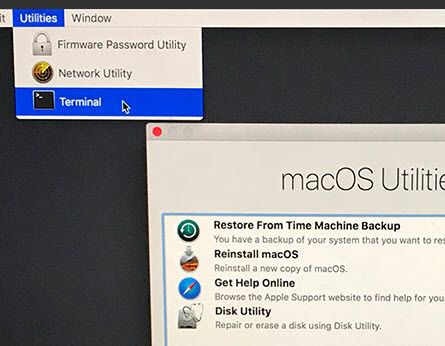 This well designed Mac trash deleted picture recovery program is able to retrieve a huge amount of image types, including JPG, TIFF(TIF), PNG, BMP, GIF, PSD, CRW, CR2, etc. Download the free version now. 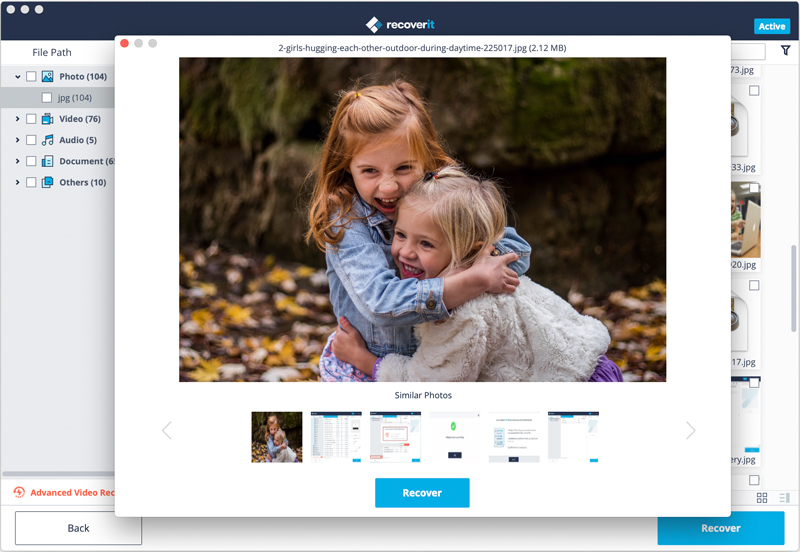 This free version enables you to scan your Mac partition for lost photos, and the found photos is available to be previewed before you decide to recover them. 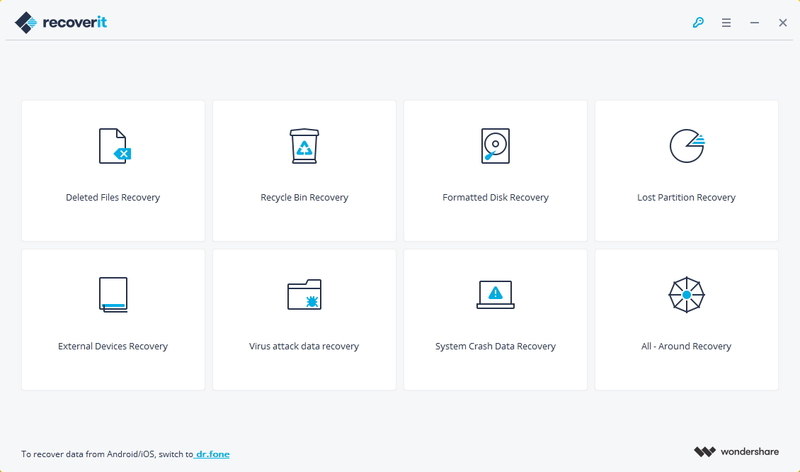 With Recoverit, you can effectively and easily perform deleted files recovery, partition recovery and RAW hard drive recovery. 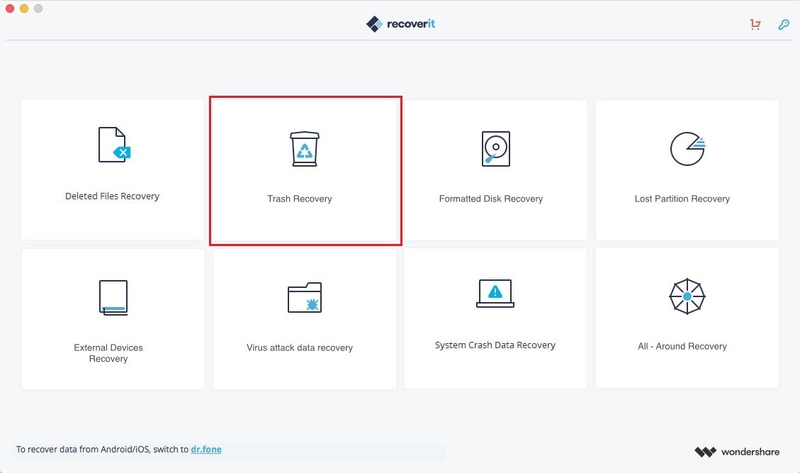 Free download Recoverit on your Mac and follow the next simple steps to recover deleted photos from trash mac. 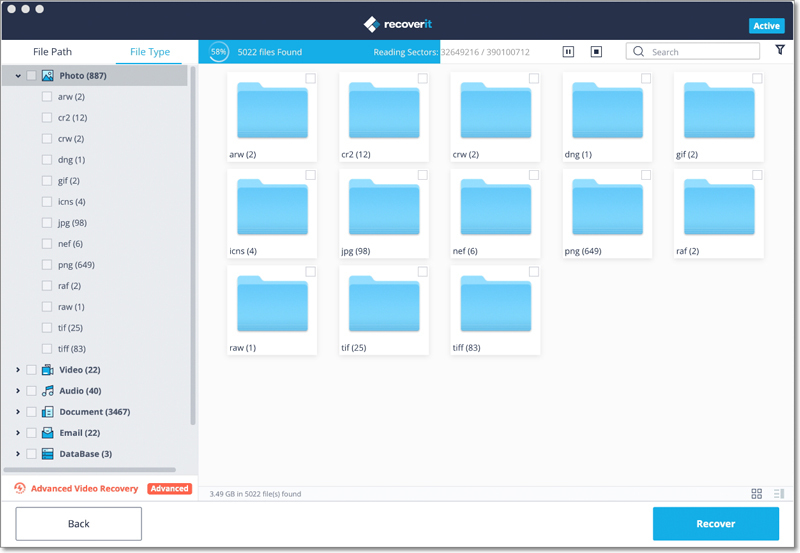 Recoverit Mac data recovery will start a quick scan automatically to search for your lost pictures. If you can't find the wanted pictures after the quick scan, please turn to "All-Around Recovery" mode for more files. It will take more time to complete the process of scanning. 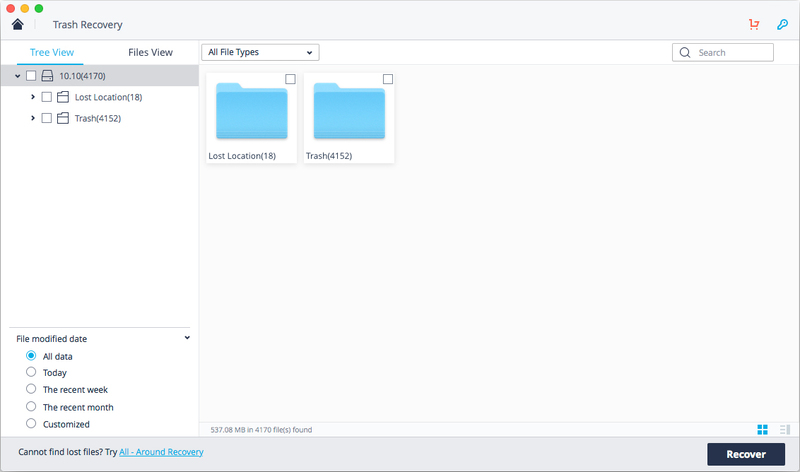 When the scan completes, the found photos will all be displayed in folders. You can preview them and click on "Recover" to get your deleted pictures back. Note: It’s better to restore the recoverable photos to another partition on your Mac to avoid photos from being overwritten.